– The primary family worship service is called sacrament meeting. This meeting is held in our chapels and branch buildings on Sunday and lasts approximately 60 minutes. Visitors are welcome to attend. Bel Aire Senior Living has it’s own little branch that serves the needs of our residents. Hymns: Religious songs sung by the congregation (hymn books are provided). Prayers: Offered by local Church members. Partaking of the sacrament (communion): Priesthood holders prepare bread and water, which is blessed and passed to those in attendance who wish to do so. Speakers: Typically a meeting will have two or three assigned speakers. We also provide a Family Home Evening each Monday evening. This is not a religious service, but each Family Home Evening includes a game or fun activity, treats, and a short lesson. Find a LDS Worship service near you. Provo Temple is close to Bel Aire Assisted Living location in Orem. Both Locations (American Fork & Orem) are close the the LDS Temple as well. Many who are not members of The Church of Jesus Christ of Latter-day Saints often wonder about the purposes of the Temple. From the days of the Old Testament, the Lord has commanded His people to build temples-sacred structures where He could teach, guide, and bless them. For example, the Lord told the Israelites to build a portable tabernacle that would be their temple while they traveled in the wilderness (see Exodus 26-27; 40:35). Additional Old Testament references to temples are found in 2 Chronicles 5:1-14; 7:1-2 (Temple of Solomon) and Ezra 3:1-13; 6:3 (Temple of Zerubbabel). When Jesus Christ was on the earth, the only existing temple was known as the Temple of Herod. Jesus was often found in this temple (see, for example, Luke 2:40-49; Matthew 21:10-14). After the rejection and deaths of Jesus’s Apostles, there were no temples on the earth for many centuries. When the gospel of Jesus Christ was restored in the early 1800s, the Lord again commanded His people to build temples (see D&C 88:119; see also section 95). The earliest temples of the restored Church were built in Ohio, Illinois, and eventually in Utah. 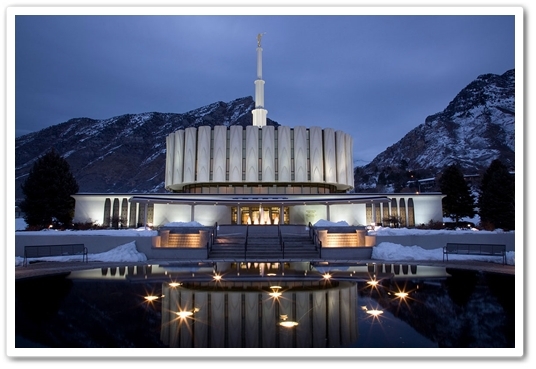 Today, the Church has over 140 operating temples around the world. Regardless of the place or time period, temples are the most sacred place on earth – a place where earth and heaven meet and where we feel close to our Heavenly Father and Jesus Christ. You can learn more about Temples here. You will find answers to such questions as Why we build Temples, What happens in Temples, Entering the Temple, Blessings of the Temple, Inside the Temple, Map of the Temples all around the world, Frequently Asked Questions, Gallery, Open Houses and more.